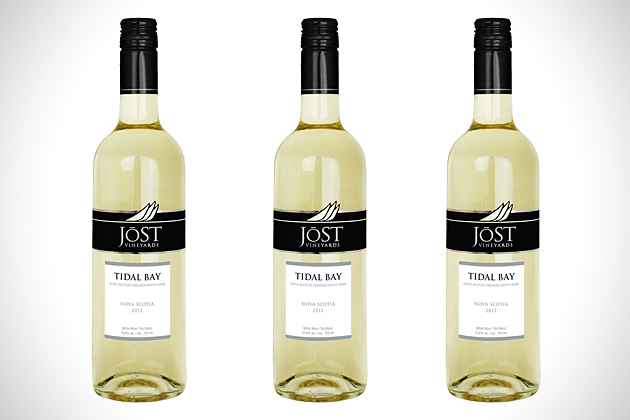 Tidal Bay is a signature, regional, white wine made from 100% Nova Scotia grown and produced grapes. This signature wine will play a significant role in advancing and promoting Nova Scotia as an international culinary and wine destination. Crisp and exciting, a bright acidity carries aromas of green apple, grapefruit, anjou pear and a hint of peach which is balanced by a kiss of sweetness that brings with it deeper aromas of ripe mango and lychee, before delivering a long finish that starts with a fresh minerality and develops into a lingering dance between lemongrass and gooseberry.